How to choose a sustainable tea brand? Plastic-free, biodegradable, organic, Rainforest Alliance certified, FSC certified, Fairtrade – when it comes to choosing which tea to stock with a clear conscious it can become a bit of a minefield. With over 11 years’ experience under their belts, and a passion for reducing their own plastic usage, teapigs have decided to share their top 5 questions to keep in mind if you’re trying to stock more sustainable products. The majority of paper tea bags contain a small amount of plastic, so they’re not 100% biodegradable. teapigs tea temples have been proudly plastic free for over 11 years (string ‘n all!) and are still one of the few to be 100% biodegradable. This can be a real struggle for a tea company, as freshness is crucial when it comes to brewing the perfect cuppa – but there are alternatives. 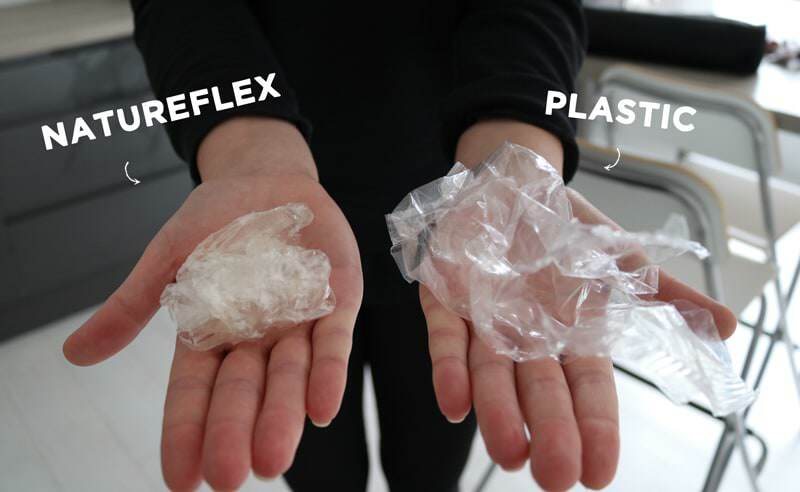 Up until 6 months ago, teapigs’ tea temples were packed into a polypropylene plastic bag but – knowing there must be a greener option – they switched to Natureflex; a fab material made from wood pulp that is fully compostable at home. b) Comes from sustainable well run estates. There are some simple ways to tell if your tea is sourced sustainably. Has the brand got Rainforest Alliance certification on any of their teas, or working towards getting certified? Are they part of the ETP (Ethical Tea Partnership)? Or the Sustainable Restaurant Association? These organisations all work towards improving sustainability. c) Does your tea give back to the tea growing communities? It’s no secret that sadly tea growing communities are often some of the poorest in the world – that’s why most tea companies worth their weight will invest heavily back in to the local areas. It shouldn’t require much digging to find out if your favourite tea company do this. As part of their own ethical scheme, teapigs work closely with Point Foundation – a wonderful charity working with vulnerable members of the tea growing communities in Gisenyi, Rwanda (an area from which they source the majority of their everyday brew tea). So far they’ve donated over £200k which fully finds “teapigs house” – a home providing specialist care for young people with disabilities. The donations also provide school equipment and sponsor students through university. d) Is your favourite brand transparent with their own sustainability plans?